The year is 2034; four years after humankind fell from the super flu. Peyton Anderson is the key to humankind’s revival, but she has to navigate mutated human-infected lands to reach her destination. Knowing that she won’t be able to completely defend herself from the Others still roving around on the surface, Peyton teams up with childhood friend Chris Parker, a.k.a. Chase, to help with her mission. In Peyton and Chase’s distinctive perspectives, the events leading to the world’s demise is told parallel to present day events. I like this setup because it shows the background story of the flu, and how Chase and Peyton get to the point where they can’t even trust each other anymore, just as I’m learning that everything isn’t perfect with them and the past is clouded with bad decisions. 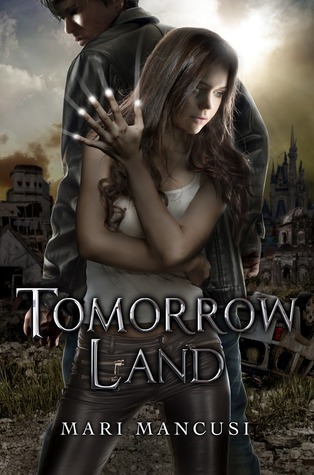 Tomorrow Land is not just an ‘end of the world’ story full of destruction and chaos. Readers see how the characters are more than survivors holding out for any speck of hope for a better future. Despite the post-apocalyptic setting, the characters dealt with real issues. Chase struggles to deal with Peyton’s betrayal, the death of his friends and family, and learns how to be a leader and survive. Chase’s side of the story was really touching, even more so when he worked through his problems. Tomorrow Land has an adventure to experience in a world not only filled with doom and gloom, but also laughter and love.